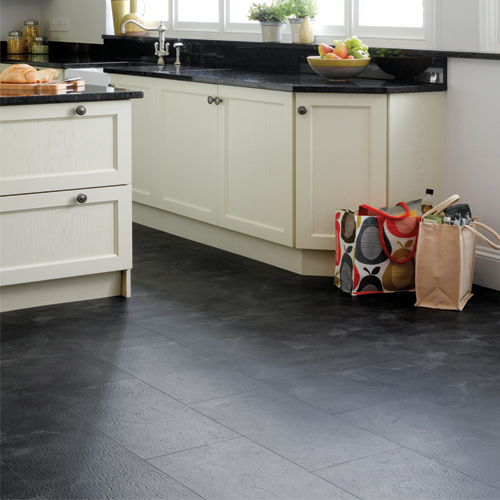 Until recently the thought of vinyl flooring could instantly transport you back to your childhood, standing in your grandmother’s kitchen with thoughts of linoleum dancing in your head. Contrary to this fading memory is a hot new product we are seeing more and more called Luxury Vinyl Tile. Known as LVT in the industry this severely cool, flexible and budget friendly flooring has become the fastest growing product in its market segment. While imitating hardwood floors, natural stone and ceramic tile, this product is extremely durable; ideal for a high traffic area like bathrooms, kitchens, and even restaurants. 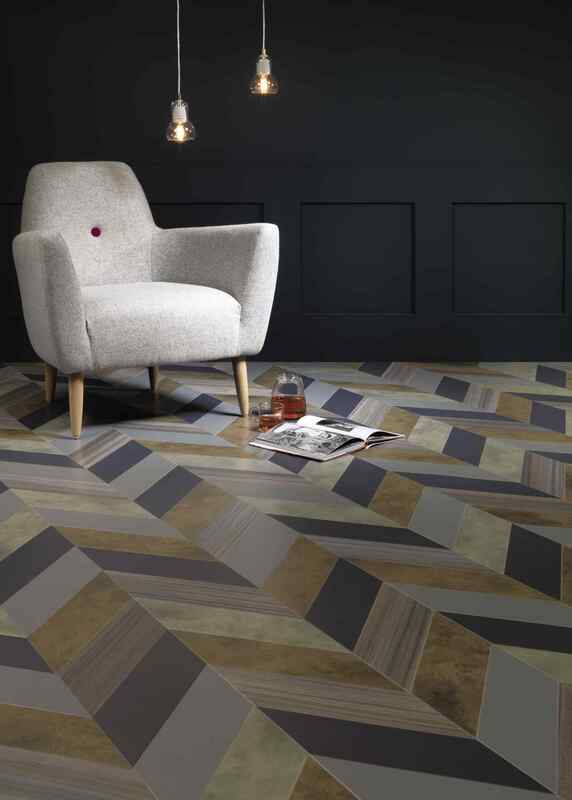 Available in a variety of ranges from modern to rustic, the embossing and graining on LVT are extremely realistic with 3D effects. 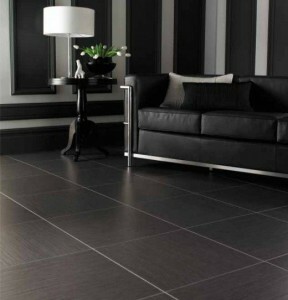 These tiles can also be grouted to look like real stone or ceramic tiles for added effect. ‘Slate’ vinyl floors give a rustic modern feel in the images below, while the black and white colored chevron adds whimsy and flare to the living area of this bright home. 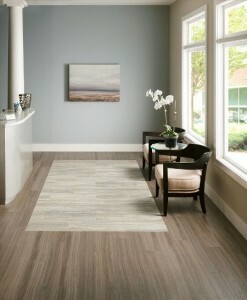 Hardwood floors are imitated with the true character of wood with graining, depth of color and embossed texture. 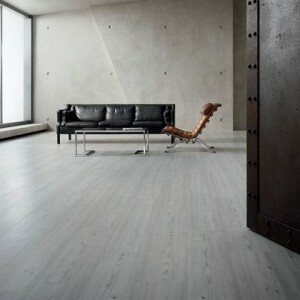 The LVT hardwoods are installed in planks like real hardwoods for a natural look. Vinyl hardwoods, being water resistant, are an ideal way to have the hardwood floor appearance in your bath without the constant fear of water damage. 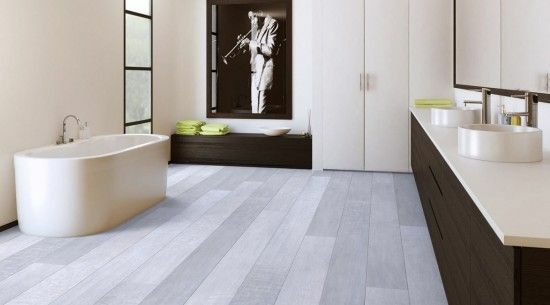 Beautiful white washed vinyl wood floors in a bathroom are the perfect touch for a warm feel after a long relaxing bath, or a multiple color chevron for a bold fashion forward look in a small space. 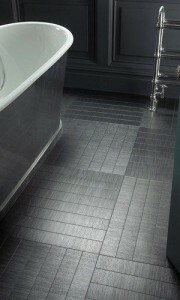 Why do we love LVT at Jigsaw? Durability, comfort and style! 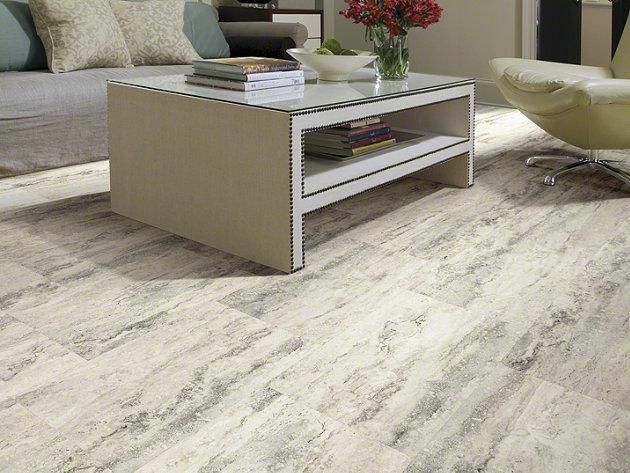 The LVT flooring is a bit less permanent way to add a trend you love in color or style without having to live with it for 20 years; with less permanent floating LVT floors you can get an updated look quickly and quite economically. 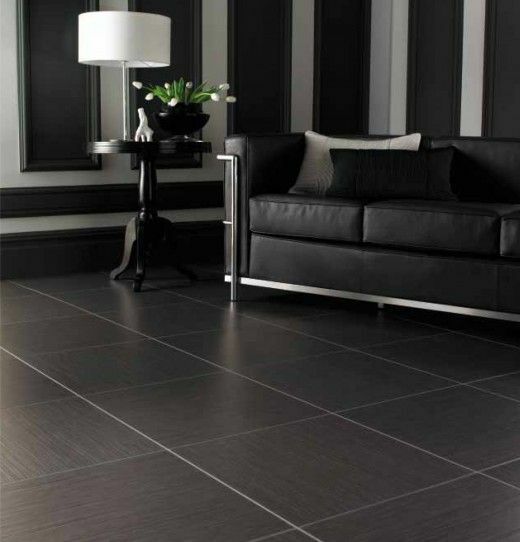 With industry standards in safety and flame retardant it is easy to see why this product is soaring to the top of consumers want lists. 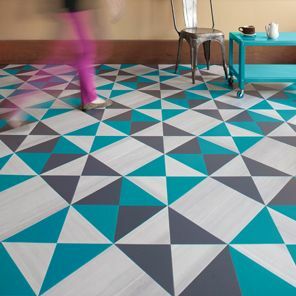 Let us know what creative ways you added LVT to your space. 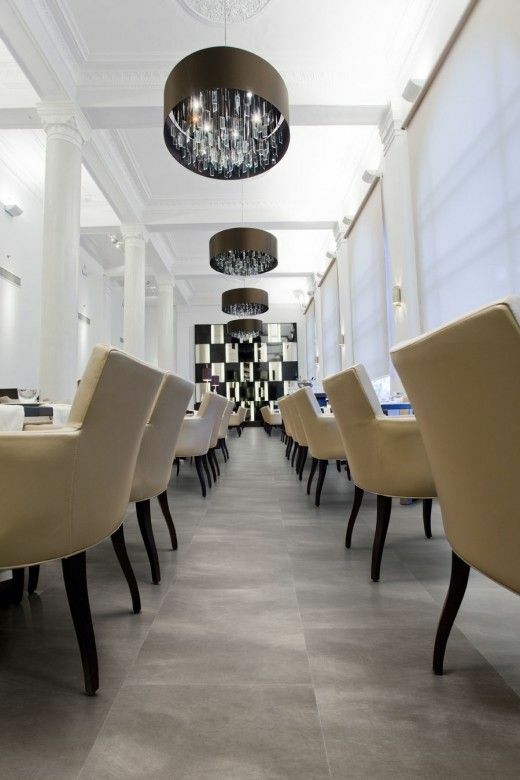 For more information on LVT flooring and resources visit the contact page on the Jigsaw Design Group website at www.jigsawdesigngroup.com. Someone will quickly contact you with more information. Please subscribe to the blog for more informative articles like these, and check out our Facebook page for more tips and images! Be sure to ‘like us’ on Facebook! Thank you for your comment Sally. I will send you an email with some more information regarding this product, and have a Jigsaw team member reach out to you for the product name and pricing. Please subscribe to the blog to see new articles as they post! Beautiful flooring with choices galore. 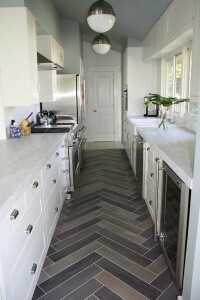 I’m interested in the galley kitchen flooring as well. 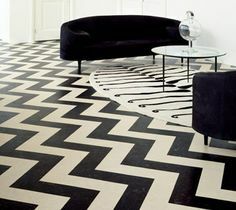 Would love to know dimensiins and color choices in the chevron patterns. 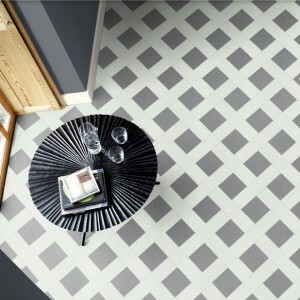 I think I found my new kitchen and pantry/laundry room flooring! Thanks for your comment Leslie, let me get those dimensions from one our designers for you. 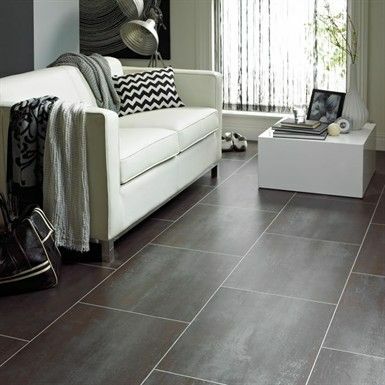 Hello Leslie, the LVT flooring you inquired about is 3 1/2 x 24″. Would you like a Jigsaw Designer to call you to help you locate resources to get started on your project? Hello, I’m interested in the chevron with the golds and greys. 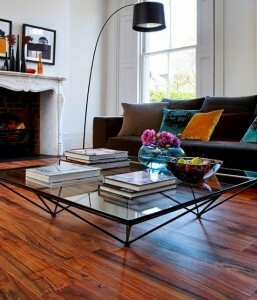 It has a white upholstered chair in the photo. Just wanted to see about pricing and a sample. Hello Julie, Thank you for your inquiry. I will have a Jigsaw Designer contact you with more information about the chevron flooring you are interested in. Take care! I am still working to find out the vendor of the white lattice LVT for you. Thank you for your patience.